Another Great Home Sold by Michael Van of Premiere Team Real Estate - Beautifully upgraded home w/excellent hill country views. Features include gorgeous hand-scraped hardwood floors, crown molding, window treatments, & open kitchen w/huge island, granite counters & stainless appliances. The spacious open plan features large windows & gas log fireplace in the family room, with the master suite, formal dining, & study downstairs. The second floor features a large game room, media room & spacious secondary bedrooms. 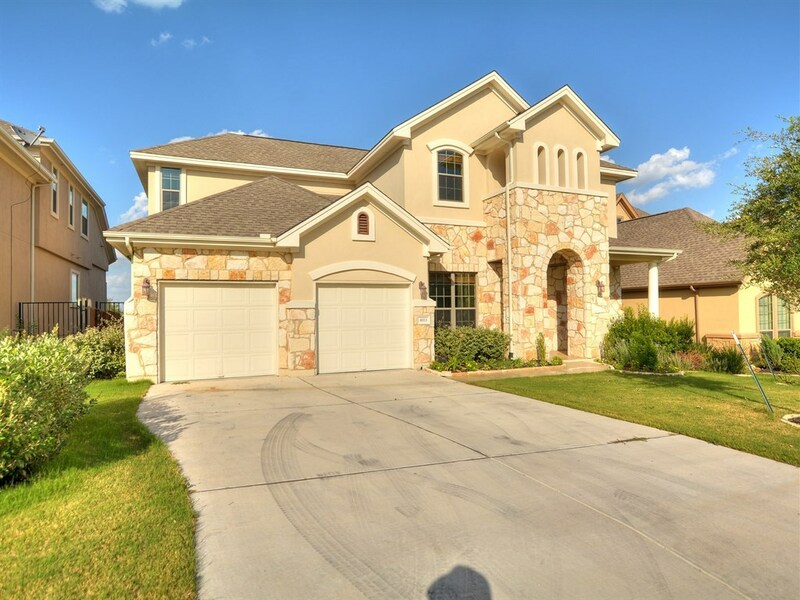 The large backyard features a covered patio w/beautiful hill country views. Upgrades include wiring for surround sound and Tech Shield under shingles for energy efficiency. Conveniently located close to Hill Country Galleria & Bee Cave Central Park. Another great home for sale in Bee Cave, Texas.